SUPER 5 ac FARM W UPDATED NEWER RANCH HOME W SPLIT BEDROOM PLAN, HARDWOOD FLOORS, OPEN KITCHEN, EXTRA TERRACE LVL GRT RM W FIREPLACE, OFFICE OR 4TH BED OPTIONS. DRIVE UNDER GARAGE W UTILITY SPACE. 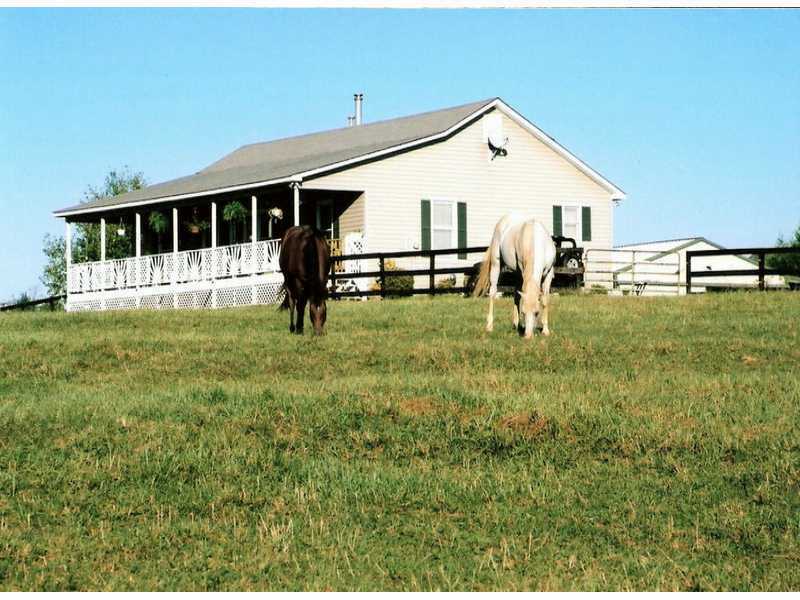 PROPERTY HAS CROSS-FENCED PASTURES ON FRONT SIDE AND REAR. PET SAFE FENCING AROUND HOUSE. GATED TREE LINED DRIVE. BARN IN VGC W CONCRETE AISLE 3-STALLS, LOFT, TACK, H20. RUN INS. SEP CHICKEN COUP. GARDEN AREA. FRUIT AND NUT TREES! BEAUTIFUL PLANTINGS!THIS IS ONE SWEET FARM! SUPER DOWN HOME COMMUNITY. TURN KEY AND READY FOR YOU TO ENJOY!